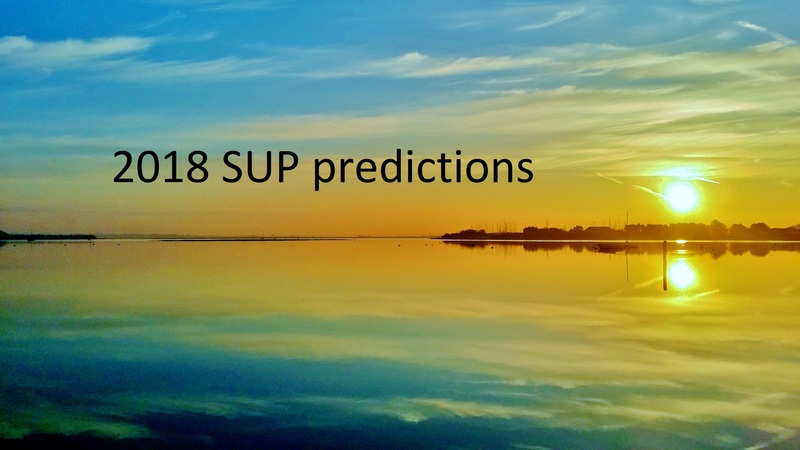 Back in autumn 2017 we asked a number of brands to give us their reflections on the past season of SUP and their predictions for the coming 2018 season. Here’s what they said. The 2017 season saw more inflatable sales as air boards continue to grow in popularity. RRD invested a lot of money in marketing projects like video and magazine content. Advertising was also increased to showcase our products to a wider world audience. RRD’s race and wave team is growing well. In fact we finished the season with 5 podiums on the Euro Tour circuit and top tens at the ISA World Championship, Denmark. Paolo Marconi and Susdak Molinero both finished 8th. It was incredible to see RRD boards in an ISA world final. After big requests from French and Italian markets we will release production of our new LongSUP. This is a sweet board for long time surf fans that have converted to SUP. The rails on the RRD LongSUP are really thin, enabling you to bury them without bogging. The spoon nose gives control when nose riding. Paddlers will be able to perform tricks, enjoy a great gliding feel and stand out with its timeless longboard look. With this board we hope to relaunch our drive in the rigid SUP market. Also, back to RRD’s inflatable boards, we’re introducing the THERMOPLASTIC BELT SYSTEM that is a special stripe of glass fibre making boards 45% stiffer than conventional inflatables. 2018 is going to be an exciting one that’s for sure! I think for JP Australia introducing the new biax construction into the race board range was a big highlight in 2017 because it made them much more affordable without compromising performance. Biax construction boards are lighter than carbon from some of the other brands but up to £1000 cheaper. Another board which has been a real surprise is the Outback. It’s a proper adventurer’s SUP. Super stable and smooth to paddle its packed full of features like removable fishing racks, windsurf attachments and a light capsule for night time paddling. Personally, I think we will see a shift back to hard boards. As constructions get lighter, tougher and cheaper paddlers will want more performance than you can get from inflatable. We all know that in terms of surf and racing you can’t beat hard. Also, now with better touring shapes and lighter constructions, I think these markets will see an increase in sales. New for 2018 we have the Allwater GT Touring board which is incredibly fast yet very stable. It’s very light and tough, also in the new Biax construction. We have new rail constructions in our surf shapes which don’t chip yet still allow the board to flex the way it should. For us a stronger season than we ever anticipated, albeit we were very optimistic – we more than exceeded our expectations! We love the realisation that our boards have popped up in all four corners of the globe in some exotic and some not so exotic locations. The surprise of the summer has been our 11’2 GT – the growth in touring has amazed us and by chance we have a perfect board for the job. If I had a crystal ball 12 years ago when we started SUP I would never have believed we would be where we as a brand and the sport is as of today. With that in mind I’ll keep my predictions short term: our ever popular 10’2 and 10’6 will still be our most desirable boards as we are still welcoming new people into SUP with open arms. However with some reflection of this summer we are offering more touring and destination style boards, applicable to both newcomers and progressing SUPers alike. We have put a lot of R&D into this area and are really excited to see it come to fruition with models like our 12’0 GTX and all new 12’6 GTS. Witnessing the number of orange noses of All Stars and Sprints on the start lines of the ISA Worlds distance races was just amazing. Two golds and seven out of eight podium places by Starboard emphasised how their racing development programme has placed them as fastest and the most widely chosen race board brand in the world. A major equipment highlight was race boards becoming yet more stable, as SUP Mag UK’s test team found reviewing the 24.5” All Star. As a result of the incredible underside shape of the All Stars and Sprints, increasing numbers of paddlers have moved down to widths they’d never have dreamt of paddling a few years ago. With many recent newcomers to SUP we’ll see many second-time board purchases in 2018, primarily in the touring/cruising category, where boards offer a big step-up in terms of performance and glide. Our first inflatable model to sell-out in 2017 was the 12’6” x 31” Touring, highlighting this trend is well underway. Elaborate artwork is appearing on designs from several brands as they bid to stand out from the crowds. We’ll see increasing numbers of arty graphics that allow customers to express themselves on the water. Working in collaboration with Sonni Honschied (artist and one of the world’s fastest racers) Starboard introduce stunning new designs on boards and paddles, already creating quite a buzz! Those looking for adventure and discovery will be stoked with the new, performance orientated Rays and ladies will fall in love with the new Diamond Touring, a female specific version of the ever popular Ray. Both designs are super-efficient delivering effortless glide and stability – going the distance has never been so easy. Our new foil program opens up a whole new world of riding waves. The Stubby Foil Edition adds another dimension to an already versatile board and transforms into your multi-sports tool for Wave SUP, SUP-Foiling and Windsurf-Foiling. Believing that everyone should have the opportunity to enjoy this exhilarating ride, we’ve developed our accessible, affordable and highly durable Flow S1 Foil. What’s more fun than working out on water? Our Fly Air Fit is the ultimate platform for all forms of fitness. For those more inclined to hit the pool, the new Fit Mat it is. Compact, easy to transport and with intricate design features to enhance your training, we guarantee you’ll be stoked after each session. Overall we believe there is still good potential for growth in both iSUP and hardboard SUP sales. The bottom of the market is obviously very price sensitive, but this also brings more people into the sport who then switch to premium brands later. We expect to see more customers graduating towards hard boards and into more advanced niches of wave, touring and race, to keep their excitement going. Also, we expect to see families buying second and third boards to enjoy the combined group aspect of the sport. Fanatic has a full range offering and we believe we have some very exciting products in all these segments for 2018! After much scepticism about inflatables and the over-saturation of the market we were pleasantly surprised by uptake for our new range of performance-based iSUPs that have been well received by schools and centres as well as Joe Public. Another great year for our team riders, in particular Ollie Laddiman venturing out to the Euros and ISA Worlds where he continues to hold his own. We’ve also seen some solid race results from Phil May and Nikki Graham continues to challenge the top ladies in surf competitions. We’ve also had some great support in terms of content from a new crop of ambassadors who continue to drive stoke levels, mission off to exciting locations and get those all-important photos. R&D and branding refinements continue to move in the right direction with 2018 looking very promising already with several pre-order enquiries across the range. We expect to see even more budget inflatables hitting the market so it’s futile competing on price! We’ll be concentrating on using the best materials and converting customers who see value in innovation and quality. The 2018 hard board market will continue to be challenging for many brands unless their shapes, aesthetics and prices are on point and their boards’ functionality extends beyond being a one trick pony. Foiling will attract a lot of attention but we feel its vital boards offer multi-functionality or it’s a bit like shelling out £2500 on something you probably can’t get on with. Thankfully our new Aztec is as versatile as they come. That said there seems to be an influx of heavy aluminium foils and kite foils posing as SUP foils that don’t help the learning process. We also predict longboard style SUPs will increase in popularity as more people realise their location and/or skills don’t warrant having a more specialist wave shape. Subsequently we anticipate solid interest in our new Inca with three key sizes so that everyone is covered. 2017 has been a great season for SUP I feel. The grass roots level seems to continue to grow with centres being packed out with new customers wanting to try a sport which is now in the mainstream media. We have also seen the filter through from paddlers who took the sport up maybe a few seasons ago and are now classing it as their ‘sport’. This has led to an increase in high end board sales and in particular tourers. We have also enjoyed record numbers participating in racing through the N1SCO fleet where paddlers can challenge themselves with a board that is still relevant as an all rounder. I am expecting to see those who have been in the sport longer and maybe started on inflatable all rounders add to their quivers with a tourer. I think foiling will continue to capture interest but will still remain niche. Now many paddlers are committing to the sport and becoming more experienced I think all niches will see growth whether this is down winding, foiling, SUP surf or racing as paddlers look to develop their skills and look for challenges. We are also expecting the continuation of many new people trying the sport as main stream interest still seems a long way from saturation. Every year, SUP is getting more known. In 2018, I expect this trend to continue, resulting in the fact everyone knows the fun of SUP and how easy it is. 2017 has been a huge year for RWP. Sales have never been better, which allows us to continue innovating, testing new designs and offer better and better SUP equipment. Air SUPs continue to be an ever growing market with increasing numbers of people taking to this sport thanks to how easy it is to inflate, transport and store these fun-packed SUPs. It’s a sport that people seem to fall in love with from the moment they get on the board. Air sup construction materials are constantly evolving and year on year our boards are getting lighter and more rigid. For our SUP hard boards we draw more and more inspiration from the world of surf and our new designs and shapes reflect this free flowing spirit. Our 2018 board catalogue is now finished and one new line of boards we’re super excited about is the Spoon SUP longboard. The original idea for this board was to create a SUP longboard for more advanced riders (intermediate+). The Spoon is amazing, ridden as a quad it’s a speed shape, with a single fin you can trim it like a classic longboard and get those toes up on the nose. Available in 3 sizes (9’2 / 10’ / 11’), there’s also a wider 10’ Spoon XL and to celebrate RWP’s 10 year anniversary we’ve created the Spoon Replica. A stunning board design inspired by the original prototype we made for Chris, RWP owner/founder. 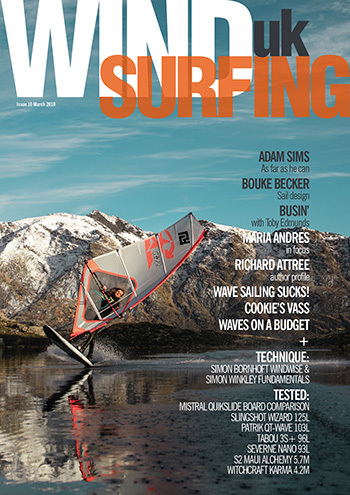 Another great year was had with more interest coming from the windsurfing community. I think this is due to some brands producing windSUPs with an actual mast track including Neptune) and not just a thread. Still unsure on foiling with SUPs but we will see. At least it gets people talking. Another highlight of 2017 was the Neptune SUPs summer camp. Great people, awesome beach (Witterings), beautiful weather and the clearest sea I have been in the UK. Ending with BBQ’s, beer and chats around the fire. For 2018 it’ll be more of the same. SUPing is still growing and with more exposure on the TV, in magazines and so on I only see the market growing and growing. I think there will be a lot of changes in the shape of race kit and predict the likes of Mistral to be more prominent in that sector. Highlights have been establishing Freshwater Bay Paddleboard Co. as a high quality manufacturer and getting our boards out to a wider audience. 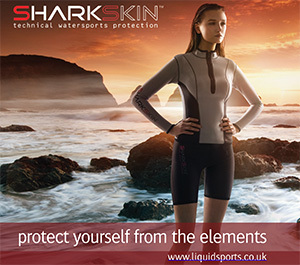 Our boards are now used by centres, instructors and customers around the UK, and have featured in The Times, GQ Magazine and on the August front cover of SUPMAG UK. 2017 has seen an influx of new brands, mainly in the iSUP market. This area of the market will become increasingly competitive in 2018. 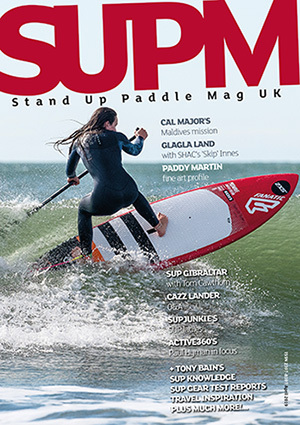 For certain, SUP went mainstream in 2017 with budget boards available from supermarkets, introducing customers at lower price points to the wonderful world of SUP. I’m sure this trend will continue, and hopefully people that have started out on these types of boards will upgrade to higher quality boards when they want to progress their SUPing. 2017 was our first full year in business, and despite all the planning and the props our kit got in 2016, we were a little nervous going into the year with a new lineup, and a new price point. But it turns out we had nothing to worry about. Two things stick out from the year as we take a look back. Firstly, how engaged our lovely customers are, and we’ve had photos posted of our boards from as far away as Patagonia and Canada. We’ve had so many great reviews and support from our customers on social media profiles and groups. Secondly, the number of top level instructors who are now choosing our kit over the regular big brands, and the number of schools and instructors who have preordered for 2018. And having sold out of all boards towards the end of August as the industry enters the deep discount season, whilst still having customers preorder from us at our regular price, is particularly rewarding. Being able to integrate a foil into a SUP Board was a highlight of the 2017 season. The continuation of our line – ranging from beginners’ surfboards to competitive race boards like the SuperSonic – was also a success. Our boards and paddles have proven themselves in all kinds of situations from fun SUP surf sessions to well-known races like the 11-City Tour. While we emphasize continuity, we have reintroduced one board due to popular demand: The carbon Aqua Inc. Ghost Rider. The most important achievement for us was to get more people out on the water and to share the stoke. SUP foils are definitely becoming more popular; I see SUP foiling as the next big thing. In general, materials and shapes will continue to evolve and SUP boards will become lighter and faster. This is true for hard boards and inflatables. I am developing a high tech inflatable board that will set new standards even though it won’t be available in 2018. Sustainability is also increasingly important. For us, that means producing high quality boards that last longer and don’t need to be replaced by the end of the season. As people are paddling all year round, we are happy to introduce a dry suit that makes paddling in the colder seasons fun and safe. I’m absolutely stoked with the 2017 season! Everywhere I go (UK and abroad) I’m seeing people out paddling and loving it! It’s great to see. In terms of FatStick, we have seen a growth in the brand and huge support from our “FatStick Family”. It’s been great to see a diverse range of paddlers come to us this season for their kit; from families wanting an affordable premium inflatable SUP package, to racers, yoga enthusiasts and wave riders wanting more advanced boards. It’s also been great to see so many new start up brands getting involved in the industry and adding their unique touch to the world of paddleboards. I wish I had a crystal ball! I guess from my perspective we will see the sport as a whole grow next year with even more people getting into it. I imagine we may see the odd person wanting to switch from inflatables to solid boards so they can focus more on the discipline(s) they wish to hone in on such as racing or surfing etc. I also expect I will now see the odd SUP surfer on a foil float past me above my head in the line up! 2017 has been another great year for Red Paddle Co both in the UK and Internationally. The popularity of our inflatable boards continues to rise and we are delighted to be able to help get so many new people onto the water and experience this amazing sport. Our Ride range continues to excel and further refinements to our production process has improved quality and consistency even more than before. Our Patented RSS and FFC technologies along with our trademarked MSL Fusion technology is what makes us unique. Let’s not forget the Dragon World Championships – a first of its kind team event. 2018 marks our 10 year anniversary and we’ve given the boards a new look to celebrate. Our MSL material allows us to explore the possibilities in board design – this is highlighted by our Tandem Voyager – A 2-person board that still packs down into a bag for easy transportation. We are continuing to refine every element of our boards from our third generation MSL Fusion technology – used on every board in the range, to new handles, logo embossed deck pads, a new bag, redesigned Titan pump and FFC on all of our adult race boards. There is no stopping our passionate team in their pursuit of the ultimate kit. Great article ! Can’t wait to try the foil stand up paddle !